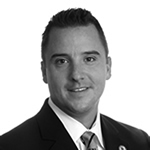 Jim has over 12 years’ experience in service and sales. As the President of Atlantic Financial, Jim develops our wholesale division and provides daily sales support to our advisors. Jim also oversees all advisor and carrier relationships. In the past, Jim held roles servicing and wholesaling American Skandia marketing annuities, mutual funds, and life insurance. After American Skandia, Jim became the Vice President of Franchise Sales for World Properties International, a leading reverse mortgage provider. He subsequently founded Atlantic Financial, where his experience as a licensed practitioner in life and health insurance enables him to understand the needs of individual advisors and companies in the field. 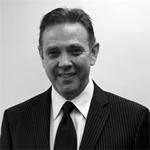 Adrian has been working in financial and retirement services for over 14 years. Adrian started with the Skandia Group where he gained broad product and sales experience in both the domestic and international markets for 8 years. He later joined reverse mortgage leader, Financial Freedom, as a Key Account Manager and Regional Sales Manager. At Senior Lending Network, Adrian helped develop and manage one of the leading wholesale teams in the reverse mortgage industry. At Atlantic Financial, Adrian’s responsibilities include development and management of our Senior Life Settlement portfolio brokering and key account distribution for life and annuity products. He is a current member of National Aging in Place and a past contributor for Big Brother, Big Sister Connecticut. Tom Baran is Director of Operations at Atlantic Financial. 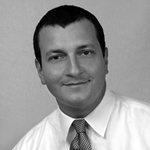 He oversees the company’s business operations including marketing, case management, contracting and case design. Prior to Atlantic Financial, Tom was Vice President of Operations and Training at World Properties International, where he built and managed the Member Services and Training Departments and directed the operations process for franchisees to ensure company compliance with the FTC. For five years before joining WPI, Tom was Manager of Executive Suites and Catering at Madison Square Garden-CT. In this role, he developed custom ordering systems for clients, implemented the POS systems, and organized catering functions for corporations. Richard Alanthwaite, Partner, Atlantic Financial (Asia) Limited Richard is a former Canadian diplomat. He served the Canadian government in addition to in Canada, at the Canadian Embassy, Islamabad, Pakistan and, as well, at the Canadian Consulate General in Hong Kong. In Hong Kong he was an Entrepreneurial Development Officer in the Business Immigration Section. Since 1989, Richard has operated businesses in Hong Kong. One of his businesses focused on assisting wealthy businesspersons, select suitable and appropriate means to fulfill and successful comply with Canadian immigration requirements. In 2008, he became actively involved in the marketing of Life Settlement portfolios in Asia. Rex S. Chan, Partner, Atlantic Financial (Asia) Limited Rex has been a Realtor and real estate developer in Vancouver, Canada for ten years before returning to Hong Kong in 2001 to take up the position as Head of Investor Relations and Corporate Communications for a Hong Kong IT company, TP Corporation (now a part of NYSE listed VanceInfo Corporation). While at TP Corporation, he drove their M&A activities. For the past three years, Rex was involved in the Senior Life Settlement space at Avon Capital Limited, a Luxembourg registered fund Management Company. Mark Banner, Partner, Atlantic Financial (Asia) Limited Mark is an experienced investment banking professional, with a strong quantitative and analytical background. In addition to his duties as a Strategic Investment Advisor for Atlantic Financial Asia, he is a Director of Private Equity at Sunwah International Asset Management in Hong Kong. Prior to working at Sunwah, he worked for 2 years as the Asia Portfolio Manager at Pegasus Global Macro, a New York-based hedge fund. Previously, Mark spent 4 years in the Investment Banking Division of Goldman Sachs. He started at Goldman in their Investment Banking Strategies group, where he advised insurance companies on how to mitigate the risks inherent in their policies. There, he developed an institutional expertise in modeling and structuring Univeral Life and Variable Annuity products. Mark graduated from Dartmouth College in the United States, with dual degrees in Computer Science and Philosophy. Victor Wong, FSA, FCIA, CFA, CRM, Senior Actuarial Advisor Victor is a Fellow of the Society of Actuaries and Fellow of the Canadian Institute of Actuaries, as well as a Chartered Financial Analyst with more than 18 years of working experience in the field of pensions, insurance and banking risk management. 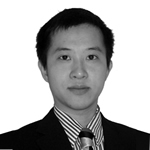 Victor worked at Mercer as a consulting actuary for 10 years serving clients including Sears, Bank of Montreal, Manulife and Nortel as well as many pension plans in Hong Kong, China, Taiwan, Korea, Japan, Philippines and Thailand. Victor founded Real Actuarial Consulting Ltd. in 2004 and have been a leading risk management consulting and software provider in banking and insurance risk management with offices in Hong Kong, Shanghai and Beijing. Real Consulting is a partnering firm to a world renowned expert, Dr. Johnathan Mun in the area of quantitative risk analytic, real options and stochastic simulations as well as Nexus Risk Management, a leading insurance risk management consulting and software provider in North America. 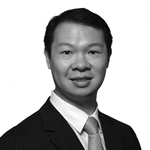 Ivan Ng, MSc, ASA, CRM, Actuarial Advisor Ivan Ng is an Associate member of Society of Actuaries (ASA) with substantial experience in the field of actuarial consulting services, business valuation as well as banking risk management. While acting as an Actuarial Advisor for Atlantic Financial Asia, he is also the Manager of Real Actuarial Consulting Ltd. in Beijing and Hong Kong. Throughout the years, he has practiced as a Risk Consultant in actuarial consulting projects and asset liability management for banks.